You had to work long hours, your unpacked shop has just closed for the holidays or the salad was already sold out on the market? Even for experienced zero wasters such situations can sometimes lead to you having to switch to the „conventional“ supermarket. This article should help you to make your purchase as garbage-free as possible. We all know supermarkets and know: It’s not that easy! In order to make it as simple as possible, I have concentrated on the aspect of waste avoidance. Because, of course, much of what we see in a supermarket is absolutely not sustainable – even if we can buy it unpacked. Often you get into dilemmas when shopping in the supermarket, because usually the products do not fulfill all of your sustainability criteria (e.g. Fairtrade pineapples, which are not organic, plastic-welded organic salad, etc.). I added the aspect „difficulty“, because it is not always easy to buy unpacked in the supermarket. Employees sometimes claim that it is not possible to buy the products mentioned below without disposable packaging. Of course, a supermarket or discounter is not what I mean when I speak of ecologically sustainable structures. But this article should simply give a rough orientation on how to buy something more waste-free and therefore more sustainable when you cannot switch to other kinds of shops (alternatives see part I and part II of this series). Which products can I shop zero waste in a supermarket or discounter – a round tour? According to my experience, it is usually not a problem to buy fruits, vegetables and some types of mushrooms Zero Waste in the supermarket: Most fruits and vegetables are also available unpacked – at least in the countries where I already went shopping (D,A,CH,IT,FR,GR). You only have to deal with annoying stickers on the bananas or apples sometimes. In earlier times, when I frequently bought fruits in the supermarket, I always handed the pickers over to the cashier and explained that it would be more economical and environmentally friendly to sell fruits and vegetables without them. However, I do not think it helped a lot,. It would have been better to write a letter to the management and just leave the stickers in the shop. There is another small source of waste when you have to weigh fruits and vegetables. In Austria, this is common: You have to put your fruits/vegetables on the scale, select the type and put the freshly printed sticker on it. And this sticker is usually made from thermal paper, which often contains the hormone chemical BPA. I don’t necessarily want to touch that, let alone have it on my own fruit and vegetables. A few years ago I did not know this, so I used to put the stickers directly onto my fruit and vegetables! In the whole EU, absolutely unnecessary plastic packaging for organic vegetables is unfortunately widespread. If you have to weigh fruits and vegetables yourself, you can at least stick the stickers on your cloth bag or net bag (weigh the vegetables without the bag because there is usually no tare button). Fortunately, there are also shops where the fruit and vegetables are weighed at the checkout and you do not need to weigh them yourself. This makes it possible to do almost all your fruit and vegetable shopping without plastic bags or cardboard trays. The only catch (in the European Union, because of legislation): If you are looking for organic vegetables, you will usually find them thickly wrapped in plastic and paper on a special shelf. Organic fruit and vegetables must be „clearly distinguishable from conventional vegetables“ in the EU. In my opinion, it would make more sense to mark conventional vegetables with a skull – because that is the abnormal and unnatural version. So organic vegetables unfortunately miss their real purpose in the supermarket and you have to decide again and again: Do I want to buy organic vegetables? Or Zero Waste? How should you decide? I can’t answer that question. From a certain point it was no longer acceptable for me personally to have to ask myself this question at all. I want organic AND zero waste! That’s why I stopped buying fruit and vegetables at the supermarket. As an alternative, I can recommend you to shop at the market, directly at the organic farmer or order a vegetable box (see article 2). Difficulty? Medium. Often the employees understand if you buy your fruit and vegetables loose and don’t use plastic or paper bags. However, people from Zero Waste Facebook groups have also told me that sometimes other people glanced at them curiously when they put unpackaged tomatoes and mushrooms on the counter. Be courageous and simply explain your motivation to shop the way you do – if you like! People cannot think of many powerful counterarguments against a clear statement like „I want to avoid waste“. Most supermarkets today also sell „fresh“ bread . This can often be taken independently from the counter. So you can put the bread in your own cloth bag or on your hand to eat it right away. Only sandwiches are often wrapped in plastic foil – unfortunately bakers and supermarkets do this according to my experience. Difficulty: medium to high. It differs depending on the branch where you go shopping. For me, Zero Waste purchase of bread in the supermarket worked mostly well. But once, when I went to an extremely large branch the saleswoman at the bread counter once told me that I must buy bread wrapped in a paper bag with plastic window, because otherwise the cashier could not scan it. I discussed a bit, then gave up and went to the next best store. Some supermarkets in Austria have their own cheese counters, including a branch near me. Here you can ask for a freshly cut piece of cheese and don’t have to take the pre-packed cheese. You can then put the cheese in your own box (old plastic box or stainless steel). Here, too, you usually have to stick the receipt with the weight and type of the cheese etc. on your jar so that the cashier can scan it at the cash desk. According to my experience, this is less common in other countries. But maybe you find a counter that offers cheese, olives, fresh spreads etc. unpackaged also in your supermarket! Cheese counters like this are common in Austria: Just ask for freshly sliced cheese! So you can buy as much cheese as you need and have it sliced thinly if you need it! Difficulty: Medium. If there’s a cheese counter, that’s usually no problem. In any case, ask the vendors to stick the voucher directly onto your jar. Some wanted to give me an empty paper bag with the receipt on it – which makes no sense, because I want to avoid this bag. Buying meat, sausages, bacon and fish… at the counter in the supermarket is usually possible Zero Waste. If there is a fresh food counter where you are served, you can usually put everything without any waste into your box. Especially regarding sausage, bacon and hams, you should also point out that you don’t want any plastic separation foils between the slices. Meat and sausage counters usually offer a very large selection in the supermarket. However, I am not a big fan of buying meat/fish/sausage/bacon etc. there because it does not fulfill other criteria – often the meat is cheap, animals had a bad life in dark stables and were killed after long transportation. I cannot say everything about this issue in this article, but in any case it is a good idea to reduce your own meat consumption! Difficulty: medium to high (see cheese counter). Sometimes people report that employees refuse to infect boxes they have brought along for „hygiene reasons“. In this case you shouldn’t give in, but tell the sellers: „Then unfortunately I can’t buy anything here“. It is a good idea to call for the store manager and to talk with him about it. Usually, a solution for waste-free shopping and appropriate hygiene can be found together. Sometimes you can buy at least yogurt or milk in deposit glasses in the supermarket! However, you have to look carefully whether the jars and bottles are really „deposit bottles“. It has become chic again to sell glass bottles because it looks so sustainable. But if glass is just thrown away after being used once, its life cycle assessment is bad, as the energy required to melt glass down is very high. If you use screw jars at home, it is a good idea to buy pickled gherkins, fermented vegetables, honey, jam, compote, etc. in jars. By the way: Tomato puree is also sometimes available in jars. Note: Caution, some sealing rings of screw lenses contain plasticizers. I prefer to buy blue sealing rings (Blueseal), they are plasticizer-free. Unfortunately, you can’t see the colour of the sealing ring without opening the jar and you can’t find any information about the material used on the outside of the packaging. Therefore, I recommend to ask the company itself in advance if you want to avoid plasticizers. All glasses with a blue sealing ring are BPA-free, but not all glasses without a blue ring automatically contain BPA. Recently I discovered in a discount store nuts and pistachios that were offered without packaging (see above). You can put them in your own bag or box. A simple and ingenious idea (unfortunately only the organic seal on the almonds and pistachios is missing and the almonds and pistachios could be more regional (e.g. from Spain instead of the USA). Difficulty: Medium. The nuts are weighed at the cash desk so it should not be a problem. Just try it out when you have the opportunity! Some drinks are also offered in the supermarket in deposit bottles. These include various types of mineral water, beer or fruit juices from local producers. When buying drinks, always prefer to use deposit bottles! They are made from glass or plastic. I prefer glass deposit bottles, but in any case, deposit bottles are better than throwaway bottles. Tip: Swing-top bottles look decorative and are better for the environment than crown caps and other seals. Swing-tops are reused by the company, but other seals are just thrown away! 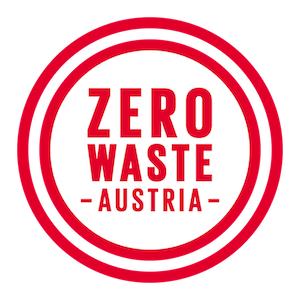 The rest of the goods in the supermarket are unfortunately usually packaged in such a way that they cannot pass through as „Zero Waste“. How can you still try to get away with as little packaging as possible? The following paragraphs will tell you. For example, if you’re standing in front of a yogurt shelf, prefer yogurts without paper cuffs. Paradoxically, organic producers often wrap their products in paper to make them look „more ecological“. It is said that this can save some plastic. But it means more separation effort for the consumer – and not everyone really separates precisely. Quite simple: A 2 kg pack of flour is better than 4x 500 g packs of flour. The bigger you buy, the more waste you can save. However, it is important that you first consider whether you can use up all the flour etc. without food waste. Since pack sizes are rigidly defined in a supermarket and cannot be freely selected as in a special Zero Waste store, food is often wasted because many people buy too much. Therefore, big bulk packs are especially useful for large households or if you can share with friends & neighbours. Like this, you also save money. Some packages are actually intended by the manufacturer to be thrown into the garbage after a single use. For example, the Twist-Off glasses for marmalade, honey etc. mentioned above. However, you can reuse them at home. For example, I still use old yogurt buckets from my „pre-zero waste time“ to deep-freeze food or to buy and store dry goods like flour, raisins, almonds etc. In my opinion, the muesli packages of a well-known European muesli manufacturer are also very suitable for reuse, e.g. for the purchase of noodles or nuts. Even the spice tins of some manufacturers can be reused. The common opinion that paper is better for the environment than plastic is not true. Of course, plastic is often produced from crude oil, with chemicals and this leads to problems when you reuse or recycle it too often. However, this does not mean that paper is automatically the solution. We cannot simply replace all throwaway plastic packaging with throwaway paper packaging. This would place a huge burden on our forests and would simply mean a shift in resource consumption. So more important than choosing between paper and plastic is to realise that disposable materials are generally not a good idea. We need reusable alternatives! If in doubt, simply make sure you buy „simple“ packaging that is either made of as little paper or plastic as possible, is easy to separate at home and therefore recyclable. The more processing steps a product has gone through, the more waste it has already generated behind the scenes. What do I mean by that? Behind the scenes of a supermarket alone, a lot of waste is generated. All the goods that you see on the shelves were previously wrapped in paper or plastic. Even fruit and vegetables are usually delivered in cardboard boxes. But when I was working in the supermarket in my holidays I noticed that e.g. local yogurt producers delivered their products in reusable plastic boxes and thus cut waste! Usually, we can take the following statement as a rule: The more logistical steps a product takes and the further it is transported, the more waste it generates. If you prefer unprocessed products that come from the nearby region, you reduce the amount of waste behind your product. I’m serious. Don’t touch it! The thermal paper of supermarket/restaurant/apparel stores/tickets/automatic scales/… contains toxic bisphenol a, which has health effects on your body. So before you pay, say „I don’t need the receipt, thank you! Note: Unfortunately, not in all countries you can prevent the printing of the receipt at the checkout. In Austria, for example, there has been a cash register requirement since 2016. Equipped with these tips, you are prepared for emergencies and can try to minimize your waste when shopping in supermarkets. Of course, supermarkets differ. In one chain you may be more successful in shopping without waste, in the other chain you will have more obstacles in your way. What experiences have you had with Zero Waste shopping in the supermarket or discounter? And how did you like this series of articles? I’m looking forward to your comments! 2] This is at least how it is advertised, but you should be aware that the bread is prefabricated and only baked in the store. 3] For some time now I have not been buying meat in the supermarket (because of unclear husbandry conditions, feeding, slaughter), so I cannot say whether the situation has changed. ← Wie kannst du im Supermarkt ohne Müll einkaufen?